Dimitri A. Antoniadis was born in Athens Greece. He received his B.S. in Physics from the National University of Athens in 1970 and his M.S. and Ph.D. in Electrical Engineering from Stanford University in 1972 and 1976 respectively. He joined the MIT faculty in 1978 and is currently Ray and Maria Stata Professor of Electrical Engineering. 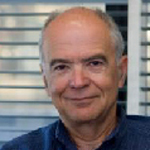 He is member of the National Academy of Engineering, IEEE Fellow, and recipient of several professional awards. He has made seminal contributions in the area of solid-state processes and electronic devices, quantum-effect-devices, and CMOS device engineering. His current research is on nanoscale electronic devices in Si, Ge, and III-V materials. The basic principles of scaling of MOSFET devices that are the core of logic electronics are reviewed. Recent trends and research directions in new channel structures such and finFETs and nanowires, and materials such as Ge, Si/Ge and III-V heterostructures, are surveyed and analyzed in the context of device structures suitable for the sub-10nm CMOS generations. Issues of source/drain resistance and gate capacitance as they affect FET performance are also discussed. Finally, new materials and new device operating principles that are considered as candidates to replace or supplement traditional semiconductors and FET operating principles are discussed.